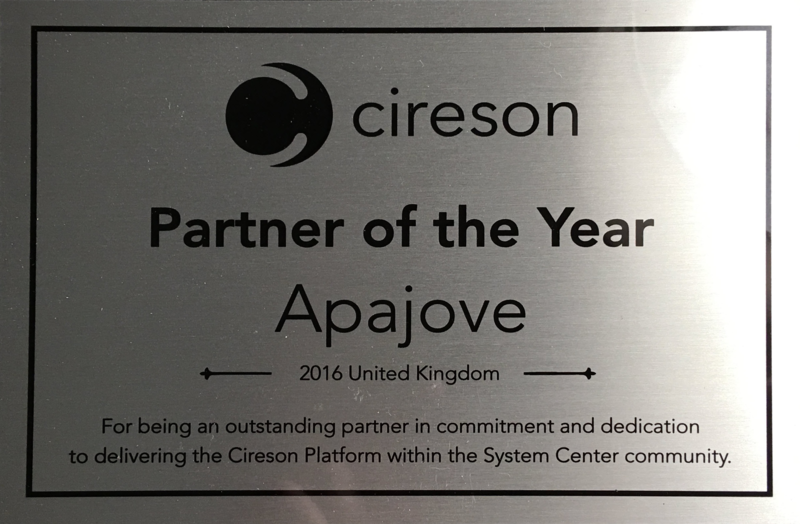 Apajove are very proud to have been awarded Cireson Partner of the Year 2016 for the United Kingdom. Apajove first started working with Cireson in November 2012. In the intervening 3+ years we have worked closely with the Cireson portal, asset management and console extension tools to provide an enhanced experience for our Service Manager customers. Our relationship with Cireson has proven to be very successful with projects across public and private sectors in the UK including OFWAT, Ealing Borough Council, Sir Robert McAlpine, Northrop Grumman, Bassetlaw District Council, the Pharmacy Regulator, BMA and many, many more. The Cireson Portal for end users is a complete replacement of the Microsoft Self-Service Portal for Service Manager. Empower your end users to perform everyday self-service tasks by providing an easy to use, personalized experience when reporting issues, searching the knowledge base, and requesting services from the service catalog. The Cireson Portal for analysts integrates seamlessly with Microsoft Service Manager to allow management of day-to-day activities on any browser, device, or OS. Built on cutting edge HTML 5, the Analyst Portal boasts fast, responsive, and highly functional capabilities. Items such as incidents, service requests, change requests, CMDB and reporting are all easily and quickly accessed and managed – with or without a desktop in sight. Every asset has a lifecycle from purchase to retirement. The Cireson Asset Management app directly integrates within Service Manager to enhance the Microsoft System Center, Server, and Cloud Platform’s powerful capabilities. It provides Asset Managers an effective lifecycle view revealing precisely where a particular asset is at any given moment, and whether or not it’s providing value to your business. Resetting passwords manually is expensive, inefficient, and time consuming. It’s ridiculously easy to save your company money with Cireson. Track the success and failures of all password resets and capture metrics important to your organization. Identify hot spots and trends in the data to save time and money across your company. For more information about Cireson and their products, please visit www.Cireson.com or Contact Us!